There’s no doubt about it, pets are members of our families. Some of us even refer to our pets as “children” and treat them accordingly! We all want our furry friends to be healthy, happy, and safe and many people ask us can you give them CBD? The answer is yes you can, and they’ll love you for it. 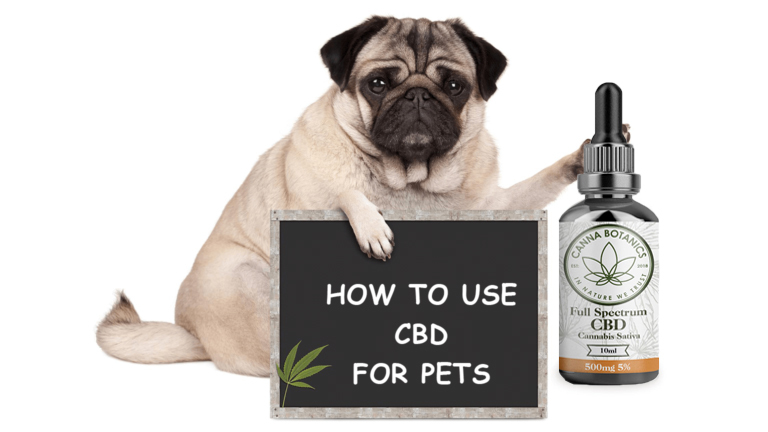 SUPPLEMENT YOUR PET’S DIET WITH CBD HEMP OIL. Animals can benefit from CBD oil the same way humans do. That’s because all mammals, perhaps all vertebrates, have an endocannabinoid system, the bodily system that interacts with cannabinoids, meaning that your pet can benefit from CBD in the same ways as you. Hemp’s benefits come from the plant’s ability to interact with the body’s naturally occurring regulatory processes, managed by the endocannabinoid system. The endocannabinoid system is responsible for maintaining homeostasis within the body, including regulating the body’s immune response, communication between cells, and appetite and metabolism. Because of this clear link between the systems of humans and other mammals, many owners have recently begun giving cannabis-infused products to their pets. However, veterinarians are split on whether CBD should be used for pets, much as doctors are with the use of cannabis in humans. A lack of research prevents pet organisations from endorsing CBD for pets, but veterinarians are now starting to acknowledge cannabis’s potential. Pet owners and veterinarians who do choose to treat their pets with cannabis typically use products derived from hemp because it is high in CBD without exposing pets to the psychoactive effects of THC. Our products are useful for adding CBD to your pet’s diets. To start, we suggest a serving size of: 1 mg – 5 mg per 10 lbs. of body weight. Start on the low end and work your way up depending on how your pet reacts. Our CBD oils can be dispensed onto your finger and given to your pet to lick off, placed on a treat, or mixed into their food. It is best to start off small and increase serving sizes every week or two. Canna Botanics is by no means a veterinarian and we offer these serving suggestions as merely that: suggestions. Great post! We have a Shar-Pei and naturally she’s aloof and often on edge. We’ve been giving her a few drops of CBD a day and she’s like a different dog. She’s not jumping up on the sofa every two seconds at the window looking for cats and is generally a lot more chilled out.